Suzanne Tick, founder of Suzanne Tick Inc., will present a lecture titled “WHO​?//ME//US and REINCARNATION” at the LSU College of Art & Design at 5 p.m. on Wednesday, January 31, 2018, in the LSU Design Building Auditorium (room 103). 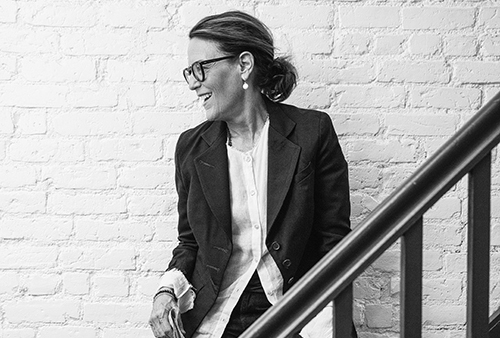 Suzanne Tick is the founder of Suzanne Tick Inc., specializing in materials brand strategy, product design, development, and direction for commercial interiors. Suzanne is currently partnering with Tarkett on Brand Strategy and Product Development, Creative Director for LUUM textiles, and Design Consultant for Tandus Centiva. She has maintained a distinguished career as a textile designer and studio Principal in New York City. At LUUM, Suzanne is developing a new textile business model, being responsible for the development and direction of textiles for seating and vertical applications. This year Suzanne debuted her third glass collection with Skyline Design: Transcend™, where she has been a design partner since 2008. Suzanne is known for her intelligent and enthusiastic approach to design in evolving markets, along with conviction to provide innovative solutions. In addition to her work in commercial Interiors, Suzanne maintains a hand weaving practice and creates woven sculptures from repurposed materials. Her work is exhibited worldwide, including MoMA and Art Basel, as well as collected by private and corporate clients. In 2016 Suzanne was honored to present her unique and personal approach to these hand-woven pieces with her TedXNavesink talk: Weaving Trash into Treasure. Her recent awards include two 2017 NeoCon Best of Year Gold Awards for Transcend™ by Suzanne Tick for Skyline Design under Architectural & Decorative Glass and Wall Treatment categories. The collection also won Editor’s Choice and nominated for NeoCon’s 2017 Best Of Show. Her latest collection for LUUM: Focus In won a Metropolis Likes award at NeoCon 2017. Suzanne was also honored in 2013 with the IIDA Titan Award, given in recognition of significant contributions to the Interior Design profession.